Home > PHOTOS > See Three (3) Methods On How To Locally Cure Apollo (conjunctivitis) In Nigeria. See Three (3) Methods On How To Locally Cure Apollo (conjunctivitis) In Nigeria. Apollo could be caused by bacteria or viruses, irritation or a reaction by your immune system. Don't you forget too that it is a communicable disease. 1. Apollo caused be bacteria or viruses. 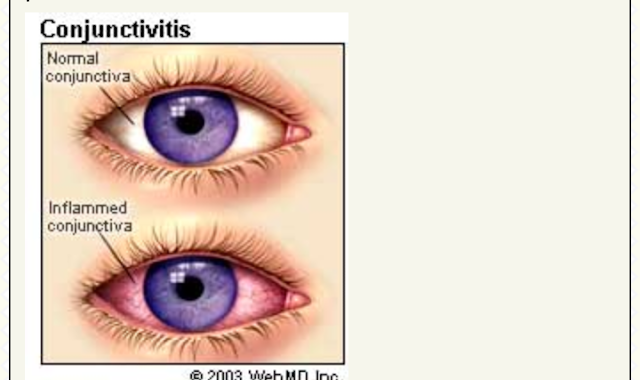 It can be treated by antibiotics, for example, eye-drops, pills etc. Avoid rubbing the eye. Dosage: Three times a day for a week. If you also were glasses, make sure it ls not shared; it is a personal belonging. If it was, I'll advise you replace it. 2. Irritation. Irritation is another notable cause. Maybe, something accidentally popped into the eyes. Wash with plenty of water. I mean, plenty, then contact your eye-doctor. 3. A reaction by your immune system. If it was caused by something you are allergic to, try much as possible to steer clear of such. Use eye-drops as treatment. Still, see your doctor.